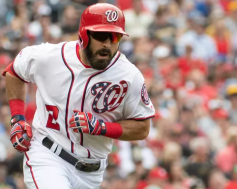 After two very competitive games to kick off this weekend’s series, the Pittsburgh Pirates and Washington Nationals took the field today looking to earn a much-needed victory early in the season. As has been the case all weekend, this game went back and forth, and today, the Bucs scored the last run of the game to take the 4-3 win on the road. Today’s game featured an enticing pitching matchup, as Jameson Taillon took the mound for Pittsburgh against Max Scherzer for Washington. Both pitchers struggled early but settled in and turned in quality starts. Taillon gave up three runs on seven hits in six innings, while Scherzer gave up three runs on seven hits in eight innings. 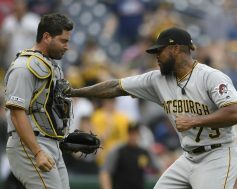 During the offseason the talk coming from the Pittsburgh Pirates organization was how good their pitching was from the starting rotation to the back of the bullpen. Through thirteen games so far, the starters have done very well, but the bullpen has given away more than their fair share of games. That would certainly be the case today with the Washington Nationals hitting two late home runs for a come from behind victory. The Pittsburgh Pirates hit the road today to begin a three-game series with the Chicago Cubs. This was the first home game for Chicago, after a rough start to the season, and they gave their fans plenty to cheer about. The Cubs would use four Pittsburgh errors to plate ten runs in the first four innings on their way to a 10-0 victory. It was definitely a good day to be at work for Pirates fans, because there wasn’t much of anything to see during the game. One of the keys of the 2019 season for the Pittsburgh Pirates will be how they play against the other teams in their division. 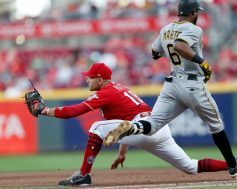 After losing three of their first four games to begin the year, the Bucs have reeled off four in a row, including a 7-5 victory over the Cincinnati Reds at PNC Park this afternoon. The win today marked a four game sweep of the Reds, who have fallen to 1-8 to start the year. The Bucs, on the other hand, now sit at 5-3 and completed a 4-2 home stand before they head out on their first extensive road trip of the year. Chris Archer started for the Bucs today, giving up three runs on five hits in six innings. Nick Kingham gave up a pair of runs in two innings, and Richard Rodriguez earned his first save of the season by pitching a scoreless inning. 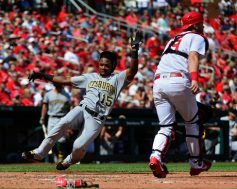 After a disappointing home opening loss on Monday, the Pittsburgh Pirates took the field tonight looking to earn a series split against their divisional rivals, the St. Louis Cardinals. Unfortunately for Pittsburgh, the trend from Monday’s loss continued tonight, as the Pirates took an early lead, surrendering the lead late, and losing in extra innings. 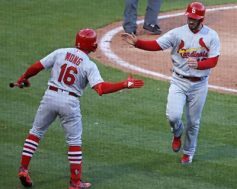 Pittsburgh built a 3-0 lead, but the bullpen gave it up in the latter innings, and the Cardinals scored a pair of runs in the 10th inning, going on to win 5-4. Today marked the beginning of the 2019 season for the majority of Major League Baseball. The Pittsburgh Pirates were a bit of a surprise last year and were looking to surprise even more people this year. They would begin their quest on the road to do battle in a three-game series with the Cincinnati Reds. Cincinnati made a couple big moves in the offseason and one of them would pay off before the final out was recorded. The Reds would start the scoring for the day in the second inning on an RBI double to left by Jose Iglesias. Pittsburgh finally got on the board in the sixth when Jung-ho Kang drove in two runs with a single to left center field. One of those runs was tagged to Cincinnati starter Luis Castillo, while the other went to Jared Hughes. With an 8-4 victory last night, the Pittsburgh Pirates clinched a winning season. This afternoon, they couldn’t plate a run, as the Cincinnati Reds won second game of this three game weekend series by a 3-0 score. 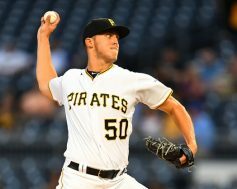 Just as Trevor Williams failed to record his 15th victory of the season earlier this wek, Jameson Taillon also couldn’t finish the job either. He took the loss today, giving up three runs on seven hits through six innings. His mound opponent, Michael Lorenzen, gave up five hits and two walks in 5.2 innings to earn a victory. The Bucs managed just six hits today, with no players tallying multiple hits. Jung-Ho Kang got the start today at third base, and had one hit. After wrapping up their home schedule at PNC Park over the weekend, the Pittsburgh Pirates embarked on their final road trip of the 2018 season. Tonight they took the field against one of the favorites to advance to the World Series, the Chicago Cubs. The Pirates got another solid performance from their starter, and their offense put enough runs on the board to take the first game of this four game series at Wrigley Field by a 4-1 score. The Pittsburgh Pirates have been playing quality baseball in the month of September and that would continue tonight against the Kansas City Royals. They would take a great pitching performance from Jameson Taillon and a walk off single from the fourth string catcher tonight to defeat Kansas City 2-1 in eleven innings. Taillon would record a career high eleven strikeouts tonight during his seven innings on the mound to go with one walk and four hits. He was replaced by Richard Rodriguez in the eighth who would strikeout three and walk one during the inning. Felipe Vazquez would be tagged for a run in the ninth and record his fifth blown save on the season. Edgar Santana pitched a scoreless tenth, before giving way to Kyle Crick in the eleventh. The Pittsburgh Pirates and St. Louis Cardinals met today for the final time in 2018. St. Louis had wrapped up the season series with a win on Monday and were trying to sweep this series from Pittsburgh. The Pirates would finally get a good day of pitching to go along with just enough offense to pick up a 4-3 victory. Jameson Taillon has been looking like the ace we all hoped he would become with the Buccos when they drafted him and today was no different. He would pitch seven innings and allow two runs on four hits with four strikeouts and two walks. The first of those runs came from Marcell Ozuna in the first when he hit an RBI single to left. The second came in the eighth when Carson Kelly scored on a fielder’s choice.